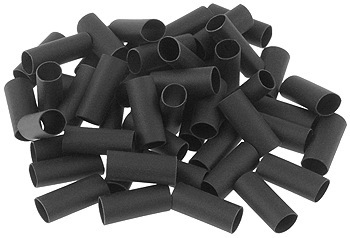 50 pieces of 3 to 1 shrink ratio 1/8" ID x 3/8" long heat shrink tubing. Shrinks from 0.125" ID to as small as 0.042" ID. Conforms to the size and shape of the object that it is placed over. Can be shrunk with a heat gun or open flame. 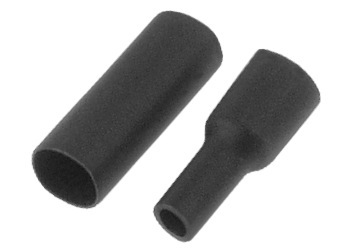 This is a versatile size of heat shrink tubing that works with most wires between 18 and 24 gauge. 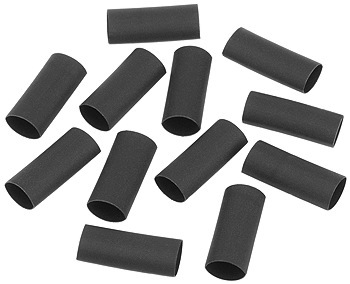 12 pieces of 3 to 1 shrink ratio 1/4" ID x 3/4" long heat shrink tubing. Shrinks from 0.25" ID to as small as 0.083" ID. Conforms to the size and shape of the object that it is placed over. Can be shrunk with a heat gun or open flame. 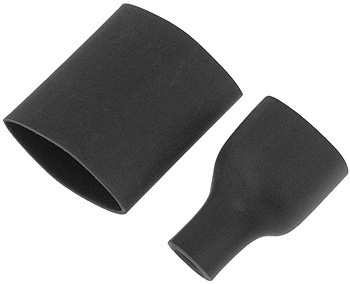 This is a versatile size of heat shrink tubing that works with most wires between 10 and 18 gauge. 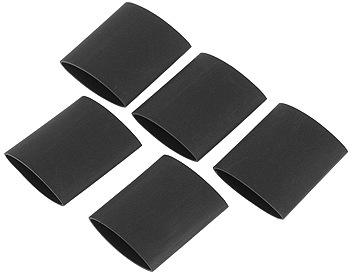 5 pieces of 4 to 1 shrink ratio 1/2" ID x 1" long heat shrink tubing. 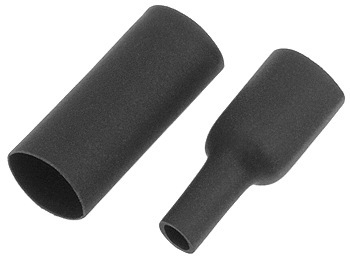 Hot melt adhesive on the inside of the tube adheres to whatever the tube is shrunk around. Shrinks from 0.50" ID to as small as 0.125" ID. Conforms to the size and shape of the object that it is placed over. Can be shrunk with a heat gun or open flame. Works with 10 gauge and larger wire or with multiple wire cables such as those used for throttles, switches, and brake levers.